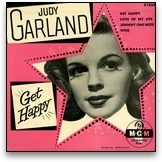 The Judy Garland Online Discography is a "subsite" of The Judy Room. In was created in 2005 with the invaluable help of the late Eric Hemphill. Between his collection of Garland records, my own, subsequent purchases and the donations of so many Judy Room Friends out there, the Discograpy has grown into the largest of its kind, with over 2,500 pages - so far! The look and navigation on the Discography is completely different than the rest of the site. That's because it's set up differently. For instance, if an album had subsequent re-releases, those are included on the main page of that album in the form of thumnails with links toeach re-release's own page. Use the links below, or in the main menu above, to check out all the Discography has to offer. Judy Garland recordings are vast. Most people think of Garland as a film star, not realizing that she had a long recording career. In fact, she was one of the youngest artists (at age 13) ever to be signed by a major record label (Decca Records). Garland spent over 10 years with Decca, then another 10+ years under contract to Capitol Records. In between the two, she recorded four sides for Columbia Records in 1953, and in 1947 M-G-M Records began officially releasing many of her film soundtrack recordings. As if that isn't enough, much of her non-label work on radio, television and in concert has also been released. To say that Judy Garland had one of the most prolific recording careers in the history of American music would be an understatement. Over the years, literally hundreds of records and CDs have been released, and yet there is still a huge amount of recordings that have yet to be officially released. Most of this unreleased material is Judy's radio work, a very forgotten yet still important facet of her recording history. 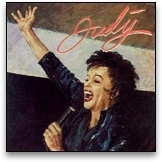 Even an album as big as the document of her historic 1964 concert with daughter Liza Minnelli (Judy Garland And Liza Minnelli Live At The London Palladium) has yet to be officially remastered and released complete on CD, although an expanded version of the original abridged LP release was remastered for CD in 2010. Obviously there are still many releases waiting "in the wings." Even so, what has been released is an amazing output of work by any standard. As you browse these pages, keep in mind that what is represented here is approximately a little over 3/4 of Judy Garland's recorded work. 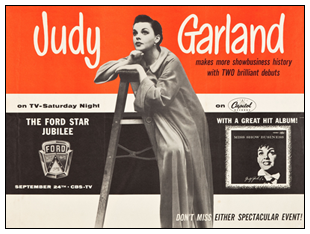 As more of her undiscovered and unreleased work is presented to the public The Judy Garland Online Discography will continue to bring you the most up-to-date and current news and information on all Judy Garland recordings. Garland's official recording career began in 1935 at the age of 13, and lasted right up to her death in 1969. Technically her recording career began in 1929 when she made her first short subject film. These early sound-era films recorded everything live on-set onto discs. Although the film for several of these shorts has been lost, the discs remain and give us peek at Garland's preciociousness at a mere 7 years-old. Click here for detailed information about these shorts. Garland recorded singles and albums for Decca Records, Columbia Records, Capitol Records, and ABC Records. Many other labels also released Garland recordings, whether officially or unofficially, of various performances that ran the gamut from radio air-checks to studio playback discs of outtakes from her films. 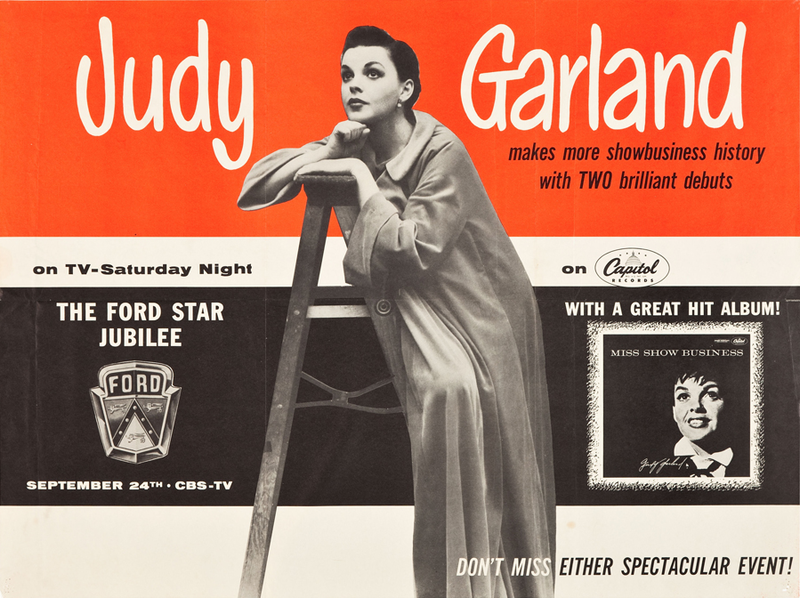 The other major labels to release Garland performances were: M-G-M Records (Judy's soundtrack recordings for the studio), Warner Brothers, United Artists, Colpix, and EMI. 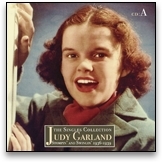 The Judy Garland Online Discography strives to document as many of these major Garland record and CD releases as possible. We also spotlight rare and hard-to-find releases you might not see anywhere else, as well as releases that might not be rare or have anything new but have great cover art or other items of interest!n traded around for years by collectors while others have been released on all manner of audio formats (vinyl, tape, compact disc, MP3, etc.). Just a quick glance at the titles here and it becomes obvious that contrary to popular belief Judy Garland did in fact sing a wide variety of songs in almost all genres. It also becomes obvious that Judy really did sing almost all the time, and we're the lucky ones who get to enjoy her performances over and over again. 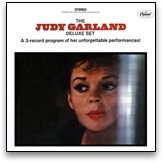 This discography does not contain a complete listing of Judy Garland CD releases. Instead, we concentrate mainly on the original vinyl releases, while highlighting the major or historical CD releases. For example, all of Judy's original Decca albums are documented here, whereas only the "major" and/or "unusual" Decca CDs are represented. This is because the wonderful Judy Garland Database has the most complete Garland CD listing in existence, so it would be redundant to duplicate that work here. We also include some LPs and CDs based on what we call "the unusual factor", for example a compilation (see example) or international release (see example) that may not be anything new, but is unusual due to a variety of reasons such as cover art, choice of songs, an example of the time period, or it has that curiosity factor. Track listing information is taken from the albums themselves. Some inconsistencies, especially in the foreign releases, are noticeable. You may notice discrepancies in titles, years, times, even liner notes. Most of these have not been corrected in order to maintain complete accuracy in the details of each album as they were released. A few obvious corrections have been made. For the rest, errors in spelling and other information are noted in brackets "[ ]" or in footnotes. Additions and changes will constantly be made as we catalog more and more of Judy's records and CDs. If you see that we are missing an important record or CD, please email the webmaster the information (and a scan of the cover art) and we'll be glad to add it. Likewise, if you see any errors, please let us know. The amazing website "Both Sides Now Publications" which houses the MGM Album Discography - compiled by Mike Callahan, David Edwards, and Patrice Eyries. The equally amazing site The Online 78rpm Discographical Project (where we have been able to locate information on rare Decca albums and singles as well as get more information on the MGM recordings) - compiled by Tyrone Settlemier & Steven Abrams. Thanks to Rutcherd B. for pointing out this great resource to us! A fantastic Capitol Records information and history blog: popculturefanboy - especially great for historical data and info about the label. Also, be sure to check out OTRCat.com (Old Time Radio Catalog). They have tons of vintage radio shows available to listen to and/or purchase on CD. PLEASE NOTE: If you have a record or CD that is not listed here and you think it should be, or if you have more details about a record or CD already listed, please email me. You'll receive full credit of course! High resolution images (200 to 300dpi) are preferred. All images on this page are from the collections of Scott Brogan and Eric Hemphill unless otherwise noted. All original writings in this discography (reviews, comments, and opinions), unless otherwise noted, are those of the webmaster: Scott Brogan. 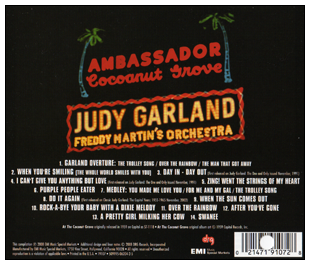 Likewise, all original graphics and website layout and design are also the creation of Scott Brogan and are for use only here in The Judy Room and The Judy Garland Online Discography.